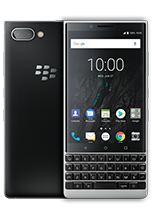 OVERLAND PARK, Kan. and IRVINE, Calif. – July 13, 2017 – TCL Communication, a leading global smartphone manufacturer and global smartphone licensing partner of BlackBerry Limited, is today announcing that Sprint (NYSE: S) will be the first carrier in the U.S. to offer the award-winning BlackBerry KEYone. 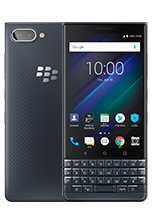 This all-new BlackBerry smartphone will officially be on-sale beginning tomorrow, July 14, at www.sprint.com or by calling 1-800-Sprint1 for 18 monthly payments of $22.00 (SRP – $528 USD)¹. It will also be available at Sprint stores across the country later this month. Built to last with a durable and sleek aluminum frame with a soft textured back for extra grip. 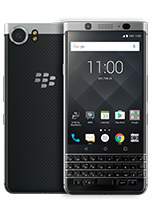 Includes a 4.5-inch touch display featuring impact offering the best in resilience and durability. For a limited time, when a customer switches to Sprint, they can get four lines of unlimited data, talk and text for $22.50 per month per line with Unlimited Freedom². Plus for a limited time, your fifth line is free! This offer includes HD streaming for videos, gaming and music enjoyment and 10GB/month per line of mobile hotspot data. For more information on Sprint’s Unlimited Freedom, visit sprint.com/unlimited or your local Sprint store. 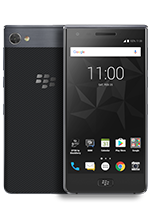 TCL Communication Technology Holdings Limited (TCL Communication) designs, manufactures and markets an expanding portfolio of mobile and internet products and services worldwide under three key brands – TCL, Alcatel and BlackBerry. With a portfolio of products currently sold in over 160 countries throughout North America, Latin America, Europe, the Middle East, Africa and Asia Pacific, TCL Communication ranks as a top-10 global smartphone manufacturer by IDC. Incorporated in Hong Kong, TCL Communication operates nine R&D centers worldwide, employing thousands across the globe. For more information, please visit TCL Communication’s website. Sprint (NYSE: S) is a communications services company that creates more and better ways to connect its customers to the things they care about most. Sprint served 59.7 million connections as of March 31, 2017, and is widely recognized for developing, engineering and deploying innovative technologies, including the first wireless 4G service from a national carrier in the United States; leading no-contract brands including Virgin Mobile USA, Boost Mobile, and Assurance Wireless; instant national and international push-to-talk capabilities; and a global Tier 1 Internet backbone. Sprint has been named to the Dow Jones Sustainability Index (DJSI) North America for the past five years. You can learn more and visit Sprint at www.sprint.com or www.facebook.com/sprintand www.twitter.com/sprint. ¹ Mo. lease pymt. excl. taxes. Req. credit approval & qualifying plan. Restrictions apply. ² Savings until 6/30/18; then $60/mo. for line 1, $40/mo. for line 2 and $30/mo. lines 3-5. Includes unlimited talk, text and data. Streams video at up to HD 1080p, music at up to 1.5Mbps, gaming at up to 8Mbps. Data deprioritization during congestion. Pricing shown with$5/month AutoPay discount applied within two invoices. Taxes, surcharges and restrictions apply. ³ Savings compared to advertised unlimited rates for 4 lines as of 7/7/17. Carrier features and international options differ. See carrier sites for details.